The much heralded reform of the NHS was published on the 27th January 2011, and I made my views known in a blog on the 29th March. But the reforms have not taken place; instead the Coalition Government have decided to "pause for reflection", and engage in a "listening exercise". If they had done this at the start, they perhaps would not be in the embarrassing position they are in today. For instead of "reflection" and "listening", we seem to be witnessing a full-blown, carefully orchestrated retreat. We are being presented with the message that Nick Clegg and the Lib Dems are now unhappy with the Reform Bill, and that theirs is the moderating voice safeguarding this great institution. However, it was the Lib Dem's who proposed the wholesale abolition of primary care, and not a single Lib Dem MP voted against the legislation at the second reading of the Bill. The cynic in me comes to the fore when I wonder why this change of heart within Lib Dem ranks within the space of a few months. Could it have anything to do with the electoral mauling that they took at the start of last month, and the defeat of the AV proposal? This new assertiveness by the Lib Dems is seen by some Tories as "cynical sabotage", and comes at a time when some Lib Dems are fearing that their identity is vanishing altogether. 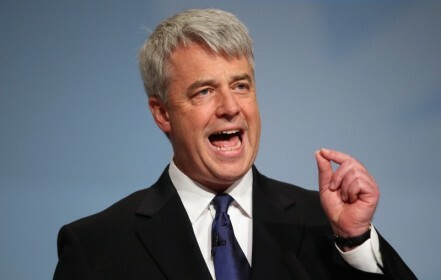 They are threatening to withhold support for the plans set out by Andrew Lansley unless drastic changes are made. I'm questioning the sincerity of the Lib Dems current approach, as why not advocate this position months ago when there was an opportunity to do so? Whatever, the mess we are now in is due in part to badly prepared and presented legislation. Cameron, Clegg and Lansley failed to recognise what Francis Fukuyama in his book, 'The Origins of Political Order' says about institutional reconstruction, that it "is not like building a hydroelectric dam or a road network. It requires a great deal of hard work to persuade people that institutional change is needed in the first place". It seems to me that no such strategy for the NHS reforms was put in place, or at least not in time. Nick Clegg has said that "arbitrary deadlines are no good to anyone", which is effectively saying that the plan to abolish Primary Care Trusts, and introduce GP Consortia by 2013 has been scrapped. In fact his view is that GP consortia should be introduced when GP's are ready for it, rather than to be imposed upon them. He also confirmed that the Bill would go back to the Commons for scrutiny. Oliver Wright, in the Independent on Sunday says, "The decision (to go back to the Commons) means the reforms are likely to be delayed by at least six months as the Health Committee will be unable to complete its consideration of the altered Bill until after the long summer recess". Re-opening the Bill will enable some important safeguards to be put in place, but slowing it down poses problems to. David Cameron faces a painful choice, as the Editorial in today's Observer says, "To abandon the Bill would be a humiliating U-turn. The right wing of his party would be outraged and seek bloody vengeance against the Lib Dems. But if he presses on, the likely result will be a mangled, incoherent Bill, unrecognisable to its author, disliked by doctors and barely understood by voters. The health service will face years of instability with little prospect of immediate improvements in service". In all of this, where does it leave the Health Secretary, Andrew Lansley? Friends are reported as saying that he is ready to resign if too many concessions are made to the Lib Dems. In a long and detailed article about "Why Cameron is giving Clegg the high ground on the NHS", Matthew d'Ancona says, "As for Lansley, he has good reason to feel aggrieved and betrayed. His life's work is being dismantled before his very eyes. Support that was promised is being withdrawn. He is being deserted in the most ruthless fashion. Number 10 accepts that he may well resign. Whether or not he does so, the final insult is the unambiguous signal he has already been sent by his most senior colleagues: that his departure, however regrettable, is a price worth paying. 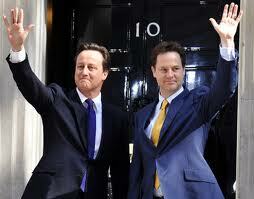 Anything - anything - to make this political horror-show go away". Now, let's be honest here. I was implacably opposed to the introduction of the Health and Social Care Bill 2011, so I am happy that it is going to be looked at again, and probably will bring about some major changes. However, this current botch-up has lost sight of one thing, and problematically caused another. What has been lost sight of in all this mayhem, and I hardly hear mentioned, is the report by David Nicholson, Chief Executive of the NHS, who has made it clear that, because of rising demand for health care, the NHS must find efficiency savings of £20 billion by 2015 merely to provide the same level of care as it does at present. That's an average of £5 billion a year for the next four years. No wonder that the Independent on Sunday says that "A great deal of energy is being expended on an institutional overhaul when the real challenge is a simple one: cut costs". Whatever the political persuasion, or ideological outlook, this has to be addressed. The fluffed presentation of the Bill, and its current hiatus has caused major problems. For a start, the running down of Primary Care Trusts has already begun, but GP consortia that is supposed to replace them has been put on hold. If Primary Care Trusts have been dismantled by 2013, and GP consortia are not in place, who will commission care for patients? What will happen to these patients not covered by PCT's or GP's needs to be answered - and soon, after all, it's only just over two years away. "The right kind of reform starts from the patients' point of view. Not bureaucrats, not unions, not ministers, not political parties - patients".